The Braun Series 7 Sonic Wet Dry Electric Shaver is highly efficient and superior for a clean shave every day. This shaver series from Braun is one of the highest ranked. Very highly rated. And it is not difficult to see why. The Braun wet or dry electric shaver is fully washable. You can shave in the shower while fully immersing your shaver in water or with soap. The Braun sonic shaver also works just as well with a dry shave. A powerful lithium ion battery powers this shaver for up to 50 minutes of continuous shaving. A LED display shows the battery status. The display will remind you whenever it needs to be charged. A new and innovative Sonic technology provides 10,000 micro vibrations with every stroke. ActiveLift technology captures flat-lying hair for a thorough shave. The shaver head is covered in OptiFoil, a smooth metal foil that allows the shaver head to get close to your skin for a clean and comfortable shave. You can also enable Turbo mode for a faster and closer shave. The Braun Series 7 Sonic Wet Dry Electric Shaver also has a precision trimmer on the side. I usually pop it out for sideburns trimming. I also use the precision trimmer to trim hair on the sides. I found it to be easy to maneuver. The precision trimmer works well for the small adjustments you need. Braun shavers are reliable and work for a very long time. It is one of the most trusted shaving brands. 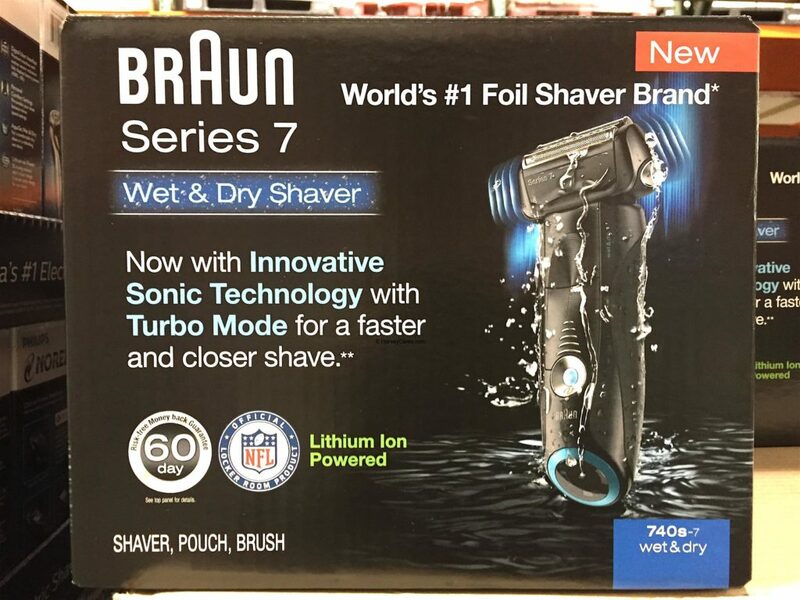 Braun is also the world’s number one foil shaver brand. I have used Braun for many years and I can attest to the fact that they stay working for a very long time. The Braun Series 7 sonic wet dry electric shaver is backed by a 60 day risk-free money back guarantee from Braun. There is also a two year limited warranty. Take a look below for more details about this Braun series 7 shaver product. Looking to Purchase Braun Series 7 Sonic Wet Dry Electric Shaver? 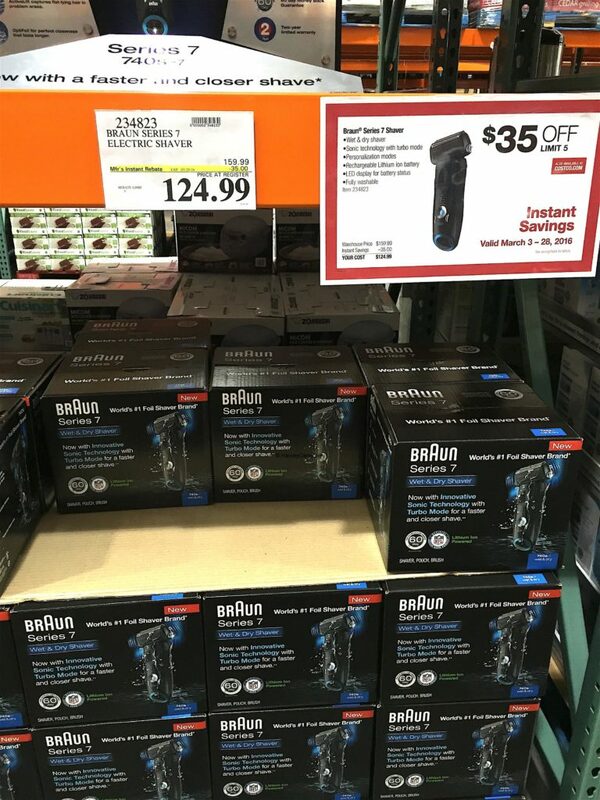 Shopping for the Best Electric Shavers? The Braun Series 7 Sonic Wet Dry Electric Shaver is wonderful. Back to the good stuff! 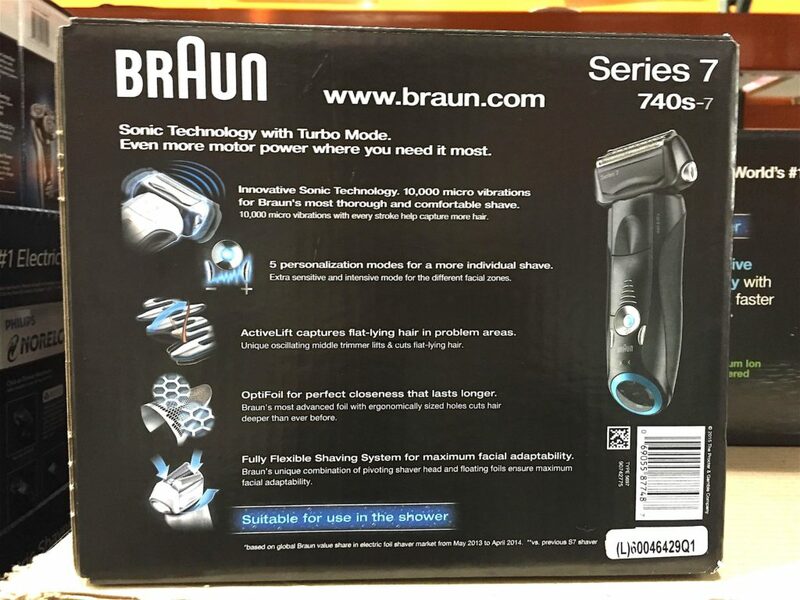 Take a look at the detailed review of Braun Series 7 Sonic Wet Dry Electric Shaver below. Item name: Braun Series 7 Sonic Wet Dry Electric Shaver. 740s – 7 model (in the images of this product review). A different series in the links. World’s number 1 foil shaver brand. 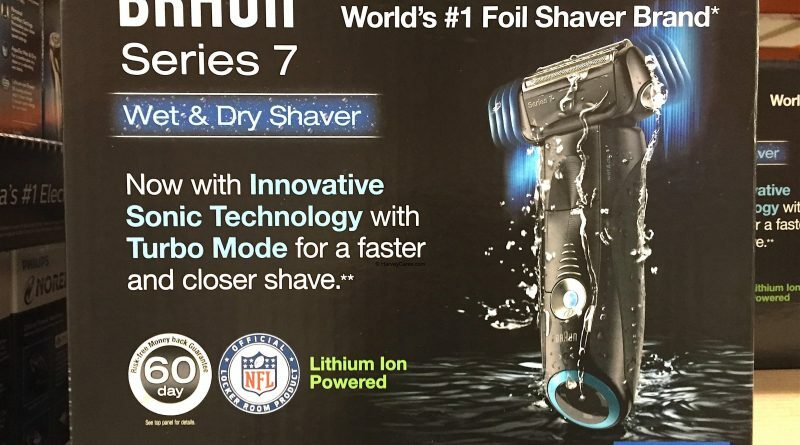 Lithium ion powered up to 50 minutes of continuous shaving. LED display for battery status. Turbo mode for faster and closer shave. ActiveLift technology captures flat-lying hair. 10,000 micro vibrations with every stroke. OptiFoil allows the shaver to get close. 60 day risk-free money back guarantee from Braun. Below you can see a picture of the Braun Series 7 on display. The main features are outlined on the side of the display. And the Braun shaver itself is in the mdidle. 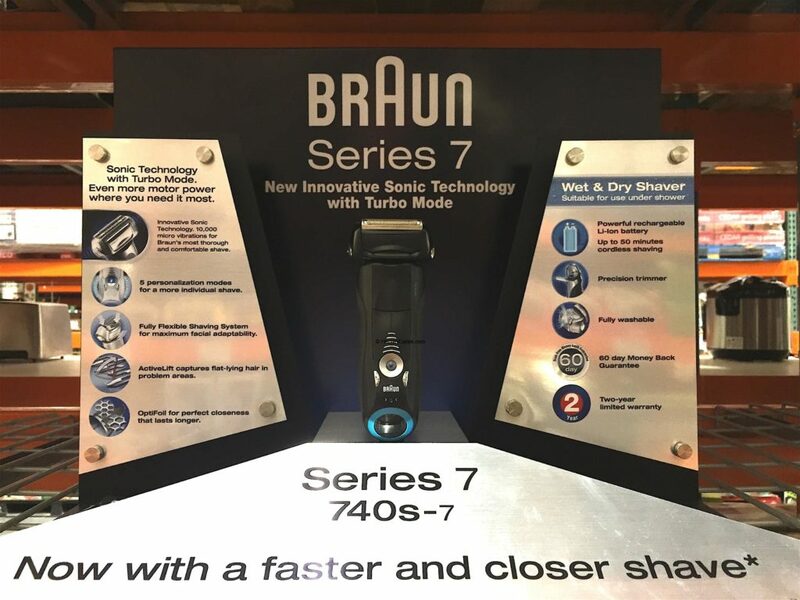 The Braun series 7, including the 740 series, feature Turbo mode. This allows the shaver to operate at higher speeds for an even cleaner shave that is up close and comfortable. The Braun electric shaver works well in dry or wet application. You can shave without any soap or water for a nice, clean, and quick shave. You can also opt to use the Braun series 7 shaver in the shower with soap. You can trim your sideburns and other hair areas using the precision trimmer on the side. The trimmer is useful for areas that need slight trimmings and cuts. I found the trimmer to be highly maneuverable for parts of your hair that need minor adjustments. Very useful. I use this shaver every day. This Braun Series 7 sonic wet dry electric shaver is also fully washable. So you can enjoy flexibility in both using and cleaning this shaver. The series7 shaver also features innovative sonic technology. With every shaving stroke, there are ten thousand micro vibrations. This allows a very comfortable and clean shave, every time. The Braun shaver head is fully flexile for a maximum adaptation to the contours of your face and skin. In the product image below, you can see more details about Braun’s sonic technology and the micro vibrations. The vibrations help capture more hair for a very efficient shave. No more stroking the same area several times and still not getting a clean shave. The Braun Series 7 sonic wet dry electric shaver has 5 different personalization modes. You can switch to different modes based on different facial and skin zones that you are shaving on. Extra sensitive mode for the more sensitive and delicate areas of your face. Intensive mode for any hard or stubborn hair and stubs. ActiveLift is a part of the shaver head that effectively captures flat-lying hair in your problem areas. The shaving head module oscillates to capture and cut flat hair. OptiFoil is Braun’s most advanced shaving foil. It has ergonomically sized holes to cut hair deeper and more comfortably. The Braun Series 7 sonic wet dry electric shaver is suitable for use in the shower. So shave away and be happy! 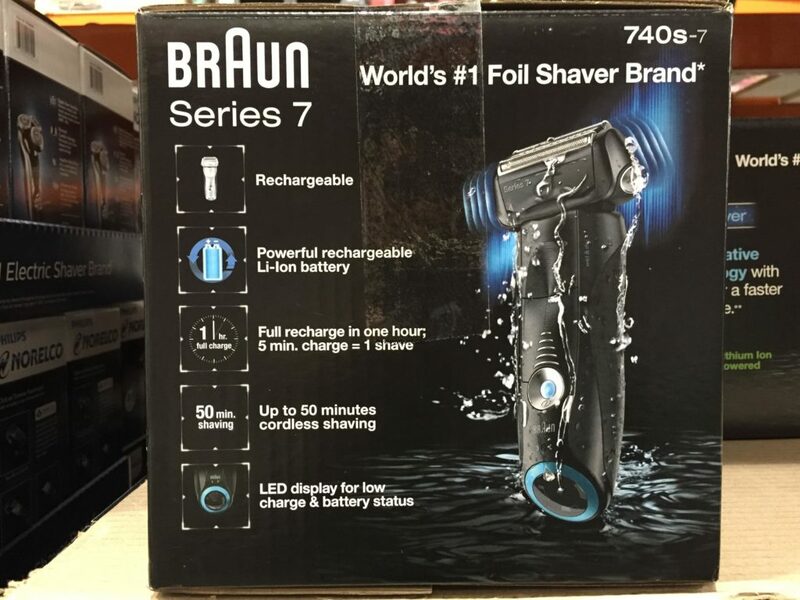 In the product side panel image below, you can see that the Braun series 7 shaver is rechargeable. Each full charge powers the lithium ion battery to provide a full 50 minutes of shaving in total. A short 5 minute charge provides one full shave. A nice LED display by the handle of the Braun Series 7 sonic wet dry electric shaver shows you battery status. The display also alerts you when the battery is low and the shaver needs to be recharged. This is after a limited time $35 instant savings promotion. Have you bought the Braun Series 7 Sonic Wet Dry Electric Shaver before?